The King– a fresh, jazzy, soulful, synthy music trio, whose breakthrough to the music scene has been nothing less than a phenomenon and embracement of artistic independence. Paris and Amber Strother are twin sisters who grew up in Minneapolis, currently residing in Los Angeles. Paris started playing piano at the age of 2 and Amber, on the other hand, has only been singing publicly for a couple of years. Anita Bias, a singer-songwriter from Compton, briefly met Paris at a recital while they were both studying at Berklee College of Music. Later in 2008, the force of serendipity reconnected them at a jam session in L.A. The newly formed trio perfectly “clicked” within their common vision and began building their own musical kingdom, creating the three-song EP, which was recorded in twins’ bedroom and produced by Paris, who also managed to make a DIY stop-animation video for their first single The Story. 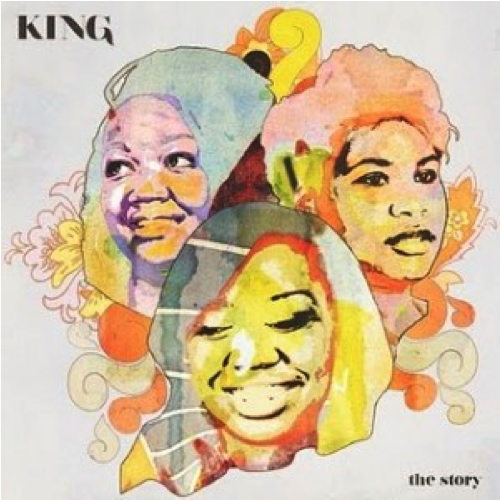 On a life-changing night in the early March of 2011, King released their EP titled The Story. What followed after that was a virus-like wave of tweets that was spreading across cyberspace, from Phonte, Estelle, Questlove, Erykah Badu to Prince who invited the trio to open for him on one of his Welcome 2 America Tour dates in front of 17,000 people. Soon to follow collaborations included The Foreign Exchange’s All the Kisses and Robert Glasper’s Black Radio Album feature Move Love . Their first LP is currently in the making, as the crowd is still eagerly awaiting its arrival. With no industry machine or talent show behind them, the achievement of these “anti-Dreamgirls” seems to be a perfect blend of talent, hard work, strong commitment, wholehearted involvement in their music, unique sound, lucky star alignment and “little” help of the social media. Emerging out of Carrington’s Grammy winning The Mosaic Project, the multi-generational supergroup ACS, is a stupefying fusion of three of jazz’s brightest stars, each crowned with daunting technique and a questing spirit of improvisation. Geri Allen is internationally acclaimed pianist, composer and active music educator who fulfills the role of musical matriarch of this expressionistic collective. Since 1982 she has recorded, performed or collaborated with Ravi Coltrane, Dianne Reeves, Bill Cosby, Ron Carter, Ornette Coleman and Paul Motian. Her album Flying Toward the Sound appeared on the Best of 2010 lists for NPR, Downbeat, All About Jazz, and the Village Voice’s Jazz Critics’ Poll. Terri Lyne Carrington is a Grammy-award winning drummer, composer, producer, educator and entrepreneur. Developing a reputation of a drum prodigy, she was jamming with Dizzy Gillespie and Clark Terry at the age of 10, a year before receiving the full scholarship at Berklee College of Music. Growing and developing musically next to Herbie Hancock and Wayne Shorter, she’s been at the top of the music industry for more than 25 years, collaborating with the luminaries of the jazz scene. Her Mosaic Project brought together different musical shapes and colors of some of the world’s most celebrated female instrumentalists and vocalists and inspired the creation of this transcending trio. Esperanza Spalding captured wider audience’s attention upon being the first jazz musician ever to win the Best New Artist Grammy award, leaving Justin Bieber’s fans in absolute shock. And ever since she earned two more. She got hooked on music after watching Yo-Yo Ma perform on an episode of Mister Rogers’ Neighborhood at the age of 4. She became the youngest bass player at Portland State University when she was 16 and later was awarded a full scholarship at Berklee , where she subsequently began performing to larger audiences and eventually teaching. Today, as a gallant composer, extremely melodic bassist, eclectic, playful vocalist and young icon of contemporary jazz scene, she continues her evolution of stretching the conventional structures of jazz into new style zones with her ingenious works like Chamber Music Society and Radio Music Society. Herbert Jeffrey Hancock was born on April 12, 1940 in Chicago, Illinois. He began playing the piano at age 7, and four years later performed a Mozart piano concerto with the Chicago Symphony Orchestra. He attended Grinnell College and double majored in music and electrical engineering, and as he told Wired Magazine, always refers to himself as a “free-footed techie.” When he graduated in 1960 he had already been performing in Chicago jazz clubs with Coleman Hawkins and Donald Byrd, and Bryd later invited him to join his quintet and move to New York City. Not long after that Blue Note Records gave him the opportunity to record as a leader, and he debuted with Takin’ Off. In 1963, Miles Davis asked Herbie Hancock to join his quintet, consisting of Ron Carter on bass, Tony Williams on drums, and at different times George Coleman, Sam Rivers, and Wayne Shorter on tenor saxophone. Herbie played with them for five years. During his time with Miles his solo career also moved ahead, where he composed the songs Maiden Voyage, Dolphin Dance, Cantaloupe Island, The Sorcerer, and Speak Like a Child, which have become jazz standards. Check out this video from 1984 of Herbie Hancock and Quincy Jones demonstrating the Fairchild CMI (computer musical instrument), a digital sampling synthesizer. In 1973 he released the album Head Hunters and in 1983 he released the song Rockit, which climbed to number one on the pop chart and won a Grammy for Best R&B Instrumental Performance. 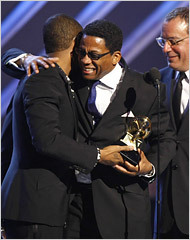 In 2001 Herbie Hancock continued his exploration with the collaborative album Possibilities that featured Christina Aguilera, John Mayer, and many others. 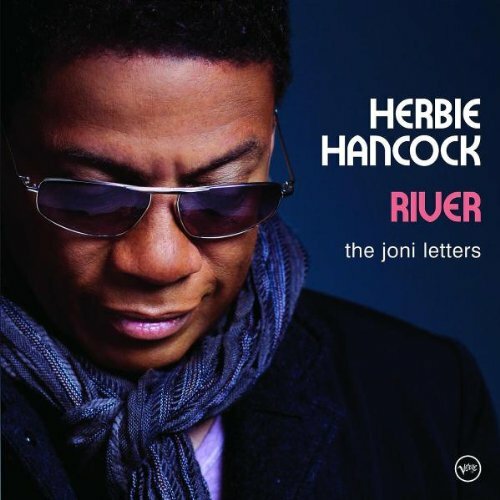 In 2008 he won the Grammy for Album of the Year for River: The Joni Letters. Mr. Hancock, Happy Birthday! Berklee City Music music celebrates you and all of you have done for jazz! Check out some of Herbie Hancock’s music on our Jazz Appreciation Month playlist.